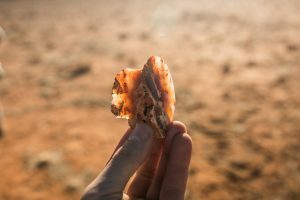 Immerse yourself in the wondrous Cultural and Heritage experiences along the Outback Way- the places are steeped in both aboriginal and pastoral history- from cultural awareness tours and stories of the explorers, pioneers and pastoral history. Winton- from April 2018- the new state of the art Waltzing Matilda Centre will reopen and showcase the iconic Story of Banjo Patterson and the history of Western Qld is captured. 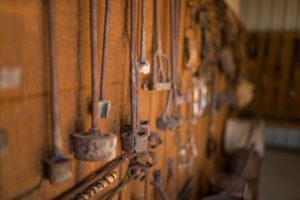 Boulia– the Stone House captures the life of yester year- with the early cottage containing decorated and furnished in the pioneering days. When Boulia resident James Edwards Jones built his home in 1888, little did he know that it would become one of Western Queensland’s major attractions. 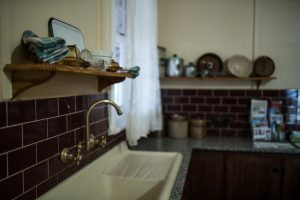 The building was constructed as a family dwelling and now boasts being home to an array of history surrounding the Jones family and early settlement life in Boulia. Situated on the corner of Pituri and Hamilton Streets, the Stonehouse has been listed by the National Trust as a building of great interest, as it was one of the first homes built in Western Queensland and because of its unique design which keeps out the harsh summer heat. Alice Springs: Various Tours are available. Rainbow Valley Tours – www.rainbowvalleyculturaltours.com – Ricky Orr (Ngala) is the owner operator of Wurre (Rainbow Valley). 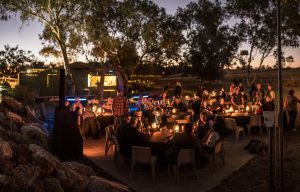 Wurre is a spectacular place located 90 kilometres south of Alice Springs. “Visit spectactular Rainbow Valley (Wurre) Experience Rock Art sites that can only be seen on this Tour. Aboriginal Culture, Ancient Rock Art Paintings, Rock Carvings (Petroglyphs) ~ Bush Foods & Medicine ~ Artifacts, Weapons, Stone Tools & Dreamtime Stories. Hermannsburg Historical Precinct – www.hermannsburg.com.au – The Hermannsburg Historical precinct & the Kata Anga Tea Rooms. This is the site of the 1877 Lutheran (German) mission- enjoy scones & cream. 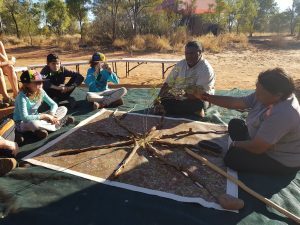 Bush Tucker Journeys- Daily Bush Food workshops- talk with your reception. Mani-Mani Indigenous Cultural Theatre at the Arkani Theatre- Cultural Theatre performances – book at your Hotel reception. Wednesday to Sundays..11am and 2pm . The recently opened – old jail and police station takes you back to a time when it was quite basic.